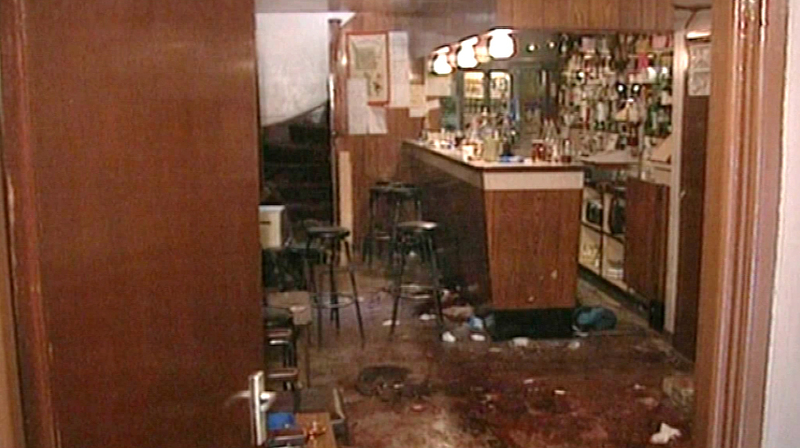 Police Ombudsman Al Hutchinson will say that the RUC murder investigation into the killing of six men in Loughinisland lacked “effective leadership and investigative diligence’’ and highlight an absence of “co-ordination and commitment” to pursue all investigative opportunities to bring the killers to justice. Mr Hutchinson will further conclude that there were “individual and collective failings” regarding aspects of the murder investigation but will rule out security force collusion in the killings. The move is set to anger victims’ families as it is understood Mr Hutchinson has departed from judge Peter Cory’s definition of collusion. 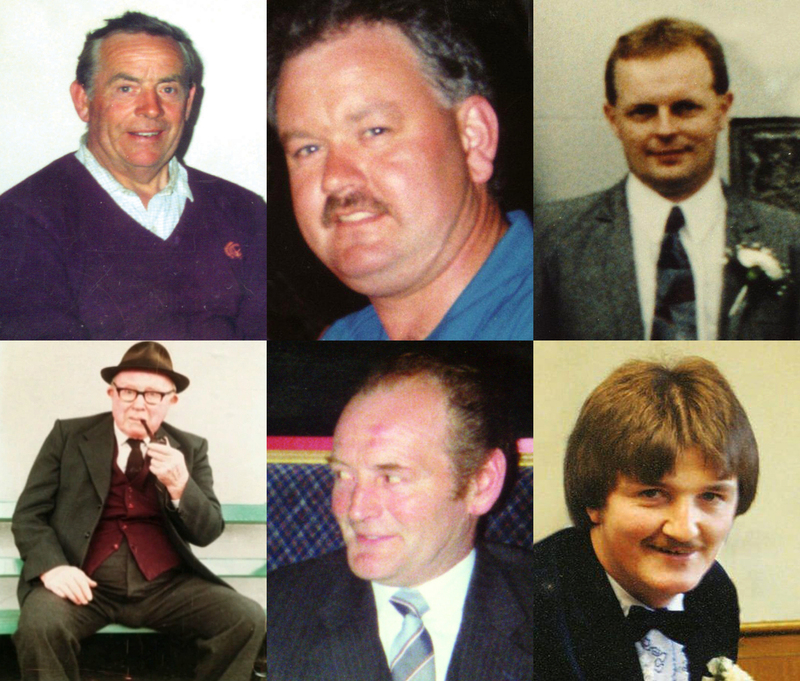 The ombudsman’s report into the UVF gun attack on the Heights Bar, which left six men dead and five others seriously injured, will be published tomorrow. The dead included 87 year-old Barney Green, his nephew Dan McCreanor, Adrian Rogan, brothers-in-law Eamon Byrne and Patrick O’Hare and Malcolm Jenkinson. No one has ever been brought to justice for the attack. In 2006 the Loughinisland families asked the ombudsman to investigate concerns that there had been no effective investigation in to the killings because police informants were implicated in the attack. The families questioned why the killers’ getaway car, which was recovered intact less than 12 hours after the killings, was removed from a police station 10 months after the attack and destroyed without authorisation. They also raised concerns about collusion after it emerged that a self-confessed informer had been in possession of the killers’ getaway car until shortly before the attack. It later emerged that a second informer was suspected of being the killers’ getaway driver. The ombudsman’s report will conclude there were a series of police failings; including records and exhibits going; the unauthorised destruction of the killers’ getaway car and a three year delay to investigate potential new lines of inquiry. He will conclude that the “poorly managed” administration of the murder incident room (MIR) in the early stages of the inquiry contributed to investigative opportunities being missed. “These cumulatively indicate a lack of a cohesive and focused effort over the years,” which Mr Hutchinson says led to the Loughinisland families being ``failed by this intermittent focus and attention”. The ombudsman reveals that his report was hampered by the failure of the original senior investigating officer in the murder inquiry to co-operate with his investigation. Ombudsman investigators were also unable to recover interview notes of up to a dozen suspects questioned in the first two years of the murder hunt as the papers are believed to have been destroyed by police. Within hours of the attack police had identified the killers’ red Triumph Acclaim getaway car as a “significant element” of their investigation. The car was reported found to police at 10.04am on the morning after the attack. Later that day police questioned four previous owners about their possession of the vehicle. When police called to the home of the last registered owner, man `A’, his wife claimed that the vehicle had been taken to a garage for repairs earlier that week. However when her husband was questioned he claimed to have sold it a month earlier. 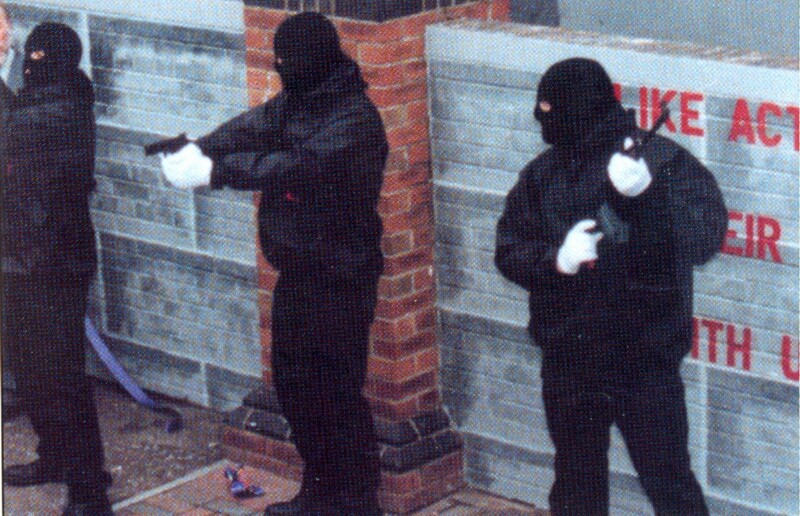 It later emerged that another of those who had possession of the car before the attack was a police informer inside the UVF, codenamed Mechanic. The report found that Mechanic was contacted by a police officer, identified as PO4, less than two hours after the getaway car was first discovered. Mechanic and `A’ gave statements to police claiming they had sold the car on. The report states that ombudsman investigators found a note on Mechanic’s police statement advising he should only be contacted through PO4. One of the four previous owners, `D’, was later arrested and questioned about the murders. Ombudsman investigators found that police had not carried out door-to-door inquiries to corroborate `D’s version of events and had failed to ever interview another witness `E’. “It is clear that the MIR (major incident room) failed to analyse properly the contents of the statements associated with the car ownership and consequently did not identify potentially significant lines of enquiry,” the ombudsman concluded. However, Mr Hutchinson concluded there was insufficient evidence that the police failures had resulted from a collusive act or omission. The getaway car had initially been discovered by a farmer abandoned in a field less than 12 hours after the murders. Crucially, the killers had failed to destroy the vehicle. The car was removed from the field without a Scenes of Crime Officer (SOCO) or forensic scientist being called to inspect the scene. It was stored in a yard at Saintfield police station but 10 months later was removed without any authority and destroyed by the local council. 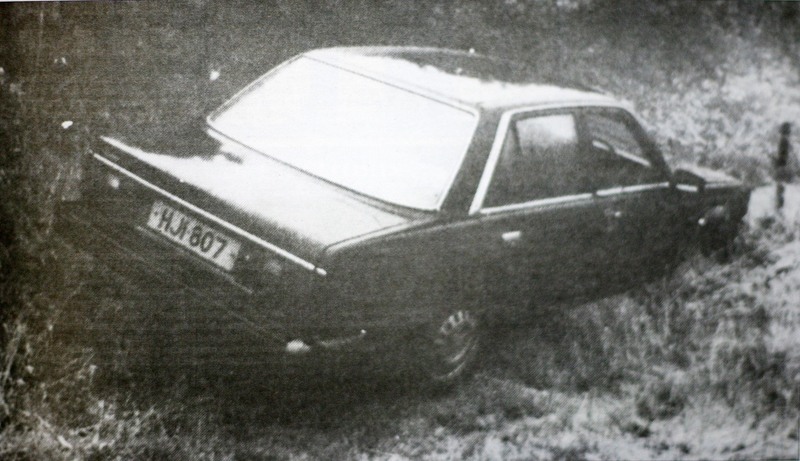 Mr Hutchinson was unable to determine who gave permission for the vehicle, which was potentially crucial forensic evidence in any subsequent murder trial, to be destroyed. The ombudsman was unable to say whether the destruction of the car may not have resulted in the loss of future evidential opportunities. However, Mr Hutchinson said there was no evidence the car’s disposal had been a collusive act. 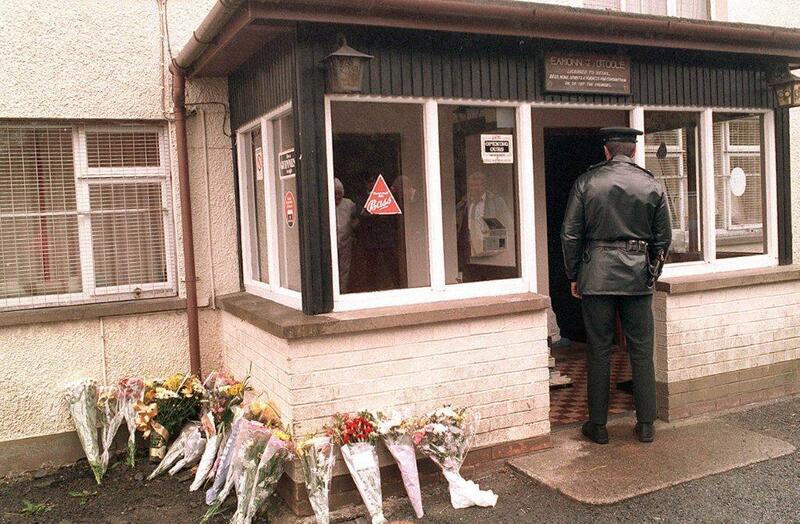 In total 16 people have been questioned about the Loughinisland attack during the last 17 years. Ombudsman investigators found there had been “inconsistencies” in how police took hair, fingerprint and DNA samples from more than half of suspects. In some cases suspects were not even fingerprinted or DNA tested. Nevertheless Mr Hutchinson did not identify any `significant’ failings in the investigation’s forensic strategy. However he did identify failings in the murder investigation’s management of the police computer system (HOLMES). Mr Hutchinson concluded that the failure to keep effective records may have resulted in the loss of evidential opportunities and had “failed” the Loughinisland families. In 2006 a review of forensic evidence in the case led to potential new lines of enquiry being identified. However, the ombudsman found that police had still not reviewed any of the potential new leads by September 2009 – three years after they had first been identified. Mr Hutchinson said he has been assured by Chief Constable Matt Baggott that the potential leads have now been investigated. While the ombudsman found no evidence of police collusion, it is his failure to investigate the involvement of informers in the case, which is most likely to anger the Loughisland families. The Loughinisland killers used a Czech made VZ58 rifle, which the families believe was smuggled into Northern Ireland from South Africa in the late 1980s by British army agent Brian Nelson. He also refused to comment on the involvement of another informer, X, who is alleged to have driven the killers’ getaway car. The ombudsman also refused to comment on the alleged involvement of a third informer `Mechanic’. “There are allegations that informants were protected by the police, particularly in relation to the suspect car recovered. In 2010 the families’ solicitor provided the ombudsman with information from a witness, W, who claimed his nephew had driven the killers’ getaway car. `X’ later stood trial in connection with another loyalist murder. In 2000 he was placed on a witness protection scheme after providing police with evidence in another crime. He is alleged to have openly boasted about his role in the Loughinisland murders. However Mr Hutchinson said he had no powers to investigate whether the police informer had driven the getaway car. “As Person X was not a police officer this matter was referred to the PSNI in accordance with legislative requirements,” the report concludes. In November 2009 a witness, `V’, told the ombudsman she had given a detailed description of the getaway driver on the night of the Loughinisland attack, which police failed to act upon. She claimed that she had seen the red Triumph getaway car at the home of a policeman, PO11 and that he had passed her personal details on to a relative of the killers’ suspected getaway driver. He said that handwriting analysis and evidence from `W’ indicated that the note originated from the policeman. PO11 was arrested and questioned about withholding information and attempting to pervert the course of justice. PO11 denied any wrongdoing, but was unable to account for his handwritten note being in W’s possession. The Public Prosecution Service concluded there was “insufficient evidence to provide a reasonable prospect of conviction of the individual”. A spokesman for the Loughinisland families said it would be inappropriate to comment until the report was officially released on Friday.